To many people, the Easter Holidays mean another dose of awkward family get-togethers, half-finished DIY projects, overdosing on chocolate in front of the TV and hyperactive children. 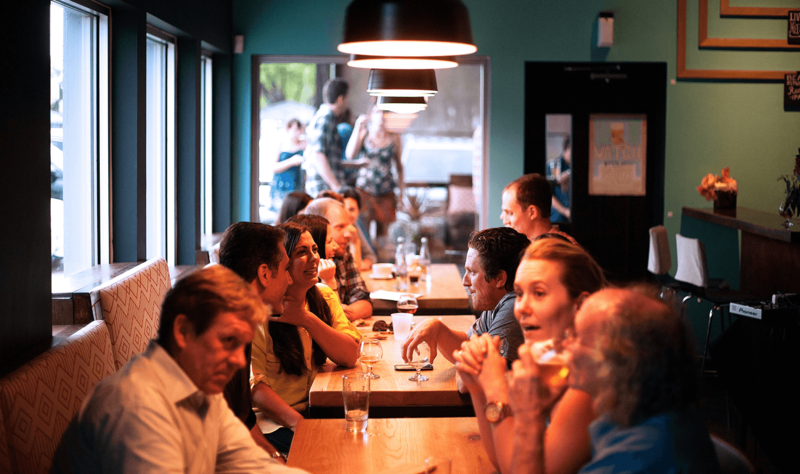 For Hospitality businesses Easter can represent a huge opportunity for you to have a bumper holiday period – and with an early holiday this year finish a normally quiet quarter with a cash injection. Be warned though, the holidays can also be a huge cash sink with holiday pay rates, heaps of competition and a fickle customer base on a budget. So how to avoid being a Bunny and ending up with egg on your face? First up, you need to decide if your business is going to be profitable at Easter. It might seem like an easy question – answered with, ‘Yeah of course we’ll be open’ or ‘Not on your life mate’ – but is the risk / reward worth it? – or are you missing a trick where a well-prepared strategy could rake in a profitable weekend? The days of businesses relying solely on managers intuition are long gone and smart hospitality business now uses analytics to view their current and historical data to back up their management decisions, before and during the period. Having access to live sales data, payroll costs, weather information and product sales mean that a Manager can steer a business away from a loss during an individual service period – instead of scratching their head afterwards, or wishing they’d done something different. So how to prepare for and react to the Holidays? If your brand is alcohol focused, a craft beer bar, cocktail bar etc. etc. you need to make sure your offering is going to attract those type of customers and factor in the usual exodus as people spend time with their families. For a food led business you may need to take into account an increase in families who want to avoid home cooking chaos and have you do the washing up! This could be at the top of the list, as your Roster could be the biggest cash drain of the weekend. It goes without saying that all full-time staff should be working and brief the rest of the team on what’s expected – let them know that if it’s quiet they might finish early and most importantly cost your roster, revise it, check it against the expected bookings, and weather information, then revise it and check it again. Every hour will count! In conjunction with your Roster, work out your opening hours. If you have a reduced menu for the weekend can you get the kitchen brigade to prep everything on the Thursday night – instead of coming in early on a Bank Holiday? Do you expect to be busy in the evening – if not, then close early or at least send team members home asap. Your menu needs to focus on your customers, and Easter, like other holidays is a family time. I’d suggest family ‘comfort’ food and kids meals. This might sound old hat, but families generally won’t opt for bone marrow on a bed of scallops and an amuse bouche for the kids – simple dishes presented well are the aim – and make sure they’re easy to prep and serve quickly so you can turn table fast! Staying on the food, make sure whatever you and your kitchen team come up with, you cost it and get the portion size nailed. You want as many good GP dishes on your holiday menu as possible, aim for at least 70 -75% profit per dish. I’d recommend having a set menu, or at least a reduced menu on the day to avoid extra prep, wastage or stock outs – no one wants to sit down for a lunch booking only to hear that 3 of the mains have already sold out! Bookings are a great idea for the whole period and I’d encourage anyone to take as many as possible. Plus, your chef will love you if they know how much food to prep and order and what sort of service to expect. Make sure your staff are across the booking procedure and let bookings know that no shows of longer than ½ hour will lose their table. Also, try to take credit card details with the booking if possible. I wouldn’t actually charge the card for a no show, as that could leave a bad taste with your customers, but the fact they’ve dished out their cc details does make customers get a wriggle on when getting to their table. When you’re happy with your menu, you need to let your customers know what days you’re open and what times. Make sure you have great images for your post out and include your promotions or deals. Instagram, Facebook, Twitter, direct emails, even flyer drops to your local area can help this, but make sure you start as soon as you can to get in your customer’s minds. Finally, don’t forget to check the weather, and make sure you’ve got some chocolates for all the hard-working staff on the day and if you do have a bumper service don’t forget to grab a beer with the team at the end of the shift.